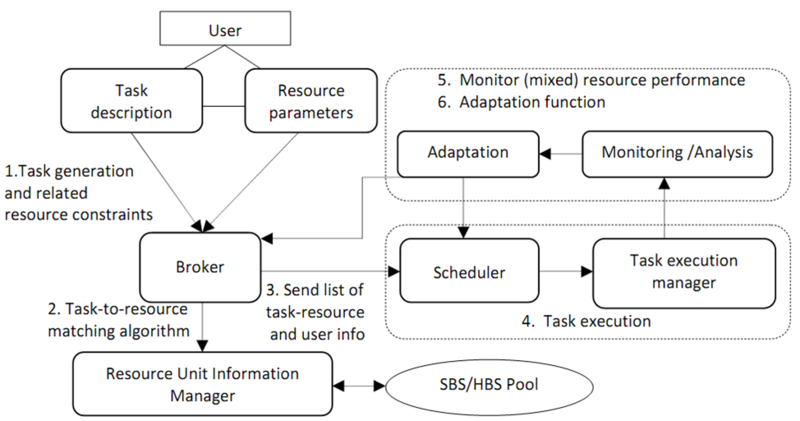 We study and model different instances of emerging distributed systems of software-based services (SBS) and human-based services (HBS), such as clouds of Individual Compute Units (ICUs) and Social Compute Units (SCU). We define concepts of human power unit (HPU) and define and evaluate properties of systems consisting of SBS and HBS, for example to evaluate quality, complexity and reliability. The complexity of executing and managing elastic applications becomes even higher when we have to deal with clouds containing SBS and HBS. We define steps in designing, deploying and executing composite applications consisting of HBS and SBS in our Vienna Elastic Computing Model (VieCOM), which offers techniques and frameworks to support multi-dimensional elastic processes of hybrid services represented under programmable units. Our approach addresses issues related during design, deployment, and runtime stage of composite applications. 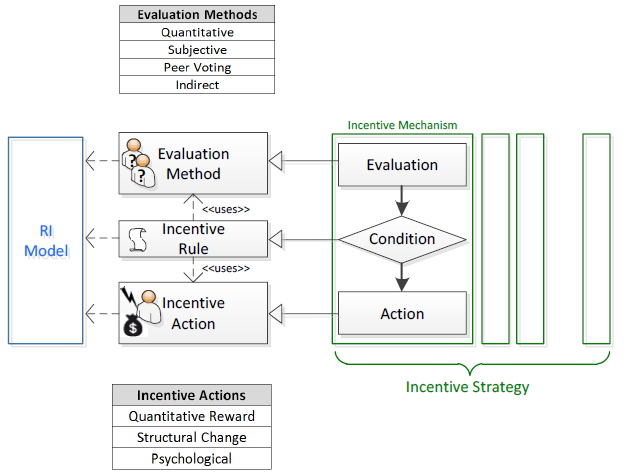 We study and conceptualize the rewarding and incentive mechanisms for VieCOM. Our techniques enable definition, composition, execution, and monitoring of rewarding mechanisms in a generic way. Elasticity control of cloud and IoT services should be possible at multiple levels of abstraction, and across various environments simultaneously (e.g., multiple, heterogeneous clouds, or IoT environments). For this, we propose a directive-based language, SYBL, which enables elasticity requirement specification for various types of services. Furthermore, we design mechanisms for elasticity control, tackling the problem of determing expected behavior of cloud services in response to enforced control actions, and supporting users to easily interact for achieving service elasticity (see eOMP). 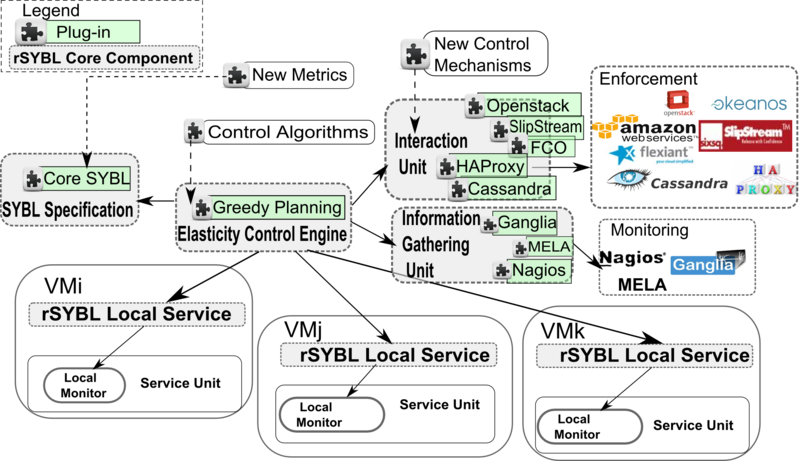 The prototype, shown in the figure below, is open-source and available on GitHub, together with further documentation: rSYBL. rSYBL has been developed as part of the CELAR project. 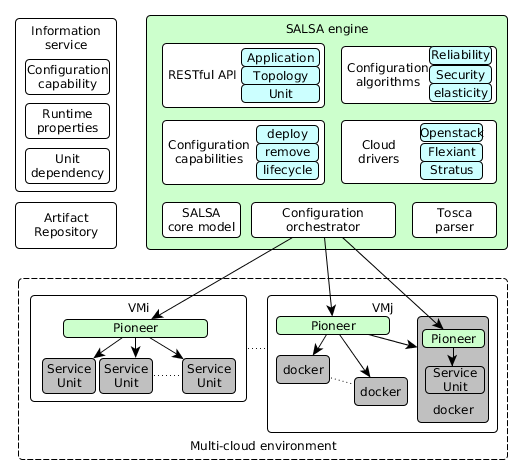 We study the methodology to configure the elastic IoT cloud systems at runtime, on multiple stacks (e.g. infrastructure, container, application, etc) and at different application levels (unit and topology). The configuration can guarantee high level qualities of the systems such as reliability, security and optimal performance. We study and model a framework that enables the simulation of socially-enhanced applications utilizing both software and human based resources. Our framework addresses challenges in hybrid environments, such as identifying relevant comparable metrics for mixed resources, mixed-resource selection, composition and scheduling algorithms, performance monitoring and analysis.